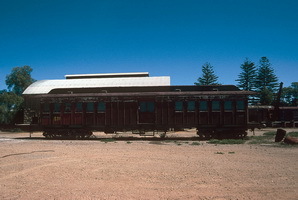 Classified by the South Australian Railways as "Wooden suburban trailing cars". They were all originally wooden bodied end loading suburban baggage cars constructed between 1912 and 1924 for steam train services. As second class suburban carriages with a baggage compartment they seating 56 passengers. Only 13 cars converted and they featured a noticeable lack of draughts in comparison with the 300, 400 and 860 class cars. Existing bogies were modified to take the clasp brakes, new steel bolsters and spring planks provided. 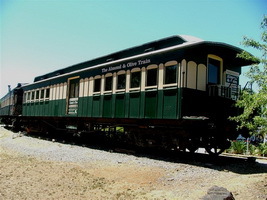 Two rows of cold cathode fluorescent lighting tubes were installed in the ceilings in the passenger saloons of the trailers similar to the lighting in the 300 class railcars. Incandescent type lighting was used in the centre baggage compartment and for emergency lighting. The ordinary Westinghouse braking on the cars for engine hauled trains was replaced with S.E.M Electropneumatic air brake. They were therefore not suitable for operation with steam or diesel locomotives. Six of the cars were originally numbered from 90 to 96, but this was changed prior to them entering service. From December 1973 they were all restricted to a maximum speed of 80 kph because of safety concerns. All members of the class were withdrawn from service in December 1976. 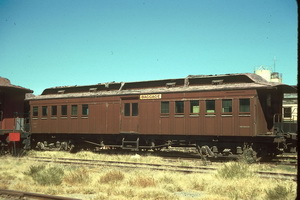 Wooden railcar trailer with baggage compartment, built "J S Bagshaw and Sons Ltd"
- To A.R.H.S. SA Div (SteamRanger). - Allocated No. 90, but not actual put on carriage. 1.4.1995 Allocated to Port Dock Station Railway Musueum. 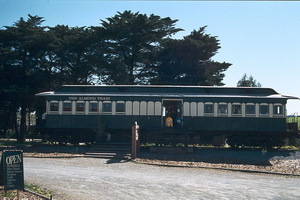 - Transferred to Mount Gambier for use by Limestone Coast Railway. - Sold to A.R.H.S. SA Div (SteamRanger). 19.10.2014 Destoryed by fire in vandalism attack on mount Gambier Roundhouse. Wooden railcar trailer with baggage compartment, built "J S Bagshaw and Sons Ltd"..
- Auto couplings and steps fitted. Wooden railcar trailer with baggage compartment, built Islington. - Allocated No. 91, but not actual put on carriage. 1987 Commenced a rebuilt to convert the car into an open space car for use by hire groups. This involved the removal of all seats and central partitions. Conversion not completed. - Allocated No. 92, but not actual put on carriage. - Electrical system converted for use with the "Bluebird" railcars. 1.6.1914 Entered service as second class bogie end loading baggage carriage "362". 22.12.1913 Entered service as second class bogie end loading baggage carriage "350". 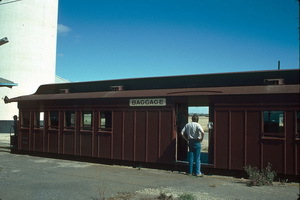 Wooden railcar trailer with baggage compartment. Built "Pengelley and Coy". - Allocated No. 93, but not actual put on carriage. - To Port Adelaide Council and placed on wharf. - Allocated No. 94, but not actual put on carriage. Wooden railcar trailer with baggage compartment, built by "A.Pengelley and Co"..
- Allocated No. 95, but not actual put on carriage. 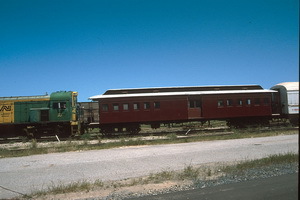 11.1984 Sold by State Transport Authority for use at Maclaren Vale as the "Armond Train", a shop selling locally made armond products.